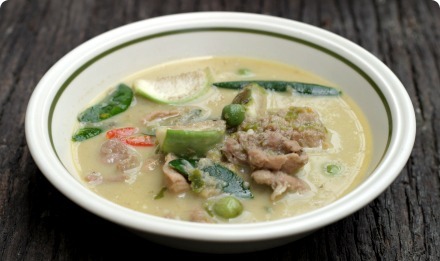 Green Curry with Pork is a staple Thai dish. This is the second green curry recipe on the website, this one was taught to me by P-Mala, a cook for over 20 years. Her green curry was raved about, and she invited me over yesterday to learn from her how she makes it. Prepare the ingredients for the curry paste. Slice the lemongrass into thin rounds, peel the skin off the garlic & shallots, slice the galangal and the magroot skin into thin slivers, and remove the stems from the chilies. In a stone mortar and pestle, start with the drier and harder ingredients first: add the galangal, magroot skin, lemongrass, peppercorns and salt. Smash together until a fairly uniform paste. This may take a few minutes. Add the wet ingredients: the garlic, shallots and chilies. Do not add the shrimp paste yet. Smash until fairly uniform. This is homestyle curry, so the curry paste isn’t meant to look perfect like at the market. It’s ok (and even preferred) to have it a bit ‘chunky’, but it shouldn’t be not mixed. See picture for finished product. When finished, add the shrimp paste and pound until mixed well. Slice the meat into thin slices (as shown in the picture) and set aside. If using fresh coconut milk, separate the head from the tail (milk from cream) and place in two different bowls. If using canned coconut milk, don’t shake the can. Skim the top cream off and place it in a bowl, and place the rest in another. You’ll probably need to thin out the rest with another can’s worth of water, since canned coconut milk is much thicker than fresh. Heat a wok over medium-high heat and add 1/2 cup of the coconut cream. It should be the same consistency of cow’s milk. If it’s a lot thicker, thin it down with water. Wait until it boils and the oil separates, this should take about 2 minutes. Add all the curry paste, and mix well. Keep stirring and flipping the paste so it doesn’t burn. You’ll need to cook the paste for about 3 minutes until it becomes quite fragrant and you begin to sneeze. As the paste dries out, and starts to stick to the pan, keep adding more coconut cream a few tablespoons at a time. Don’t let the paste burn. When the paste is finished cooking, add the meat and 1/2 cup of coconut cream. Cook the meat on medium heat for 15 minutes. Flip and stir every minute or two to prevent burning. If it’s too dry, keep adding coconut cream or milk. It should be a wet fry, almost a simmer. P-Mala said you’ll start to see a light green film, or oil rise to the top towards the end of the cooking time. Add the palm sugar, and mix well. Add the rest of the coconut milk (and water if using canned) and bring to a rapid boil. Then add the eggplants and long chilies, and boil for 2 minutes. Add the lime leaves and basil, remove from heat and serve. …not a big fan of coconut milk bout p’ Mala’s recipe looks scrumptious!! It is quite good. Actually when I ate the curry she made for me, I was sure that it was the best green curry I’ve tried in Thailand. So I’m quite happy to have gotten the recipe to add to the website! I have never tried a green curry, but you’ve made me want to expand my horizons. This looks absolutely delicious! I’ve never made curry paste from scratch (been too intimidated!) but this sounds like it’s not that difficult. I can’t wait to try it! It’s not that hard actually. I think it took me about 5 minutes to pound the paste total. Once you do it a few times I think you can whip out a curry from scratch in about 30 minutes. And the best part is you can make a ton of it and store it in the freezer. It freezes fine. hey i love green curry too! just wondering, how many does this amount serve? in your opinion, how much difference will it make to the ingredients if im making it for 6-8 servings? I might use this if guests come to my house for dinner =D really brilliant. This makes about one large bowl full, enough for maybe 2-3 people. You probably want to triple it if serving that many. It’s really great with Khanom Jeen noodles — can you get those where you are? yeah, kanom jeen noodles are available here. Triple everything, the paste, the meat, the coconut milk, etc. Green curry is meant to be very spicy. This recipe is for Thai-level heat, and actually, compared to Jett’s Mom’s recipe it’s rather mild. If you (or your guests!) don’t like to eat Thai-level spicy, simply lower the amount of chilies, but keep the rest of the ingredients at the same amount. You could take away about 25% or so and it would still taste OK.
And, eating this dish with rice is probably less spicy than Khanom Jeen noodles. Hi, when do the eggplants go in? I enjoyed making Green Curry with you on my recent visit to Thailand. shopping at the open market down the street for all of the fresh vegetables and listening to you speak to the vendors and the big smile on their faces! I have spent the last 4 years working back and forth in Thailand and the US and finished making this. UNREAL. I LOVE the thai green curry and really miss it when I return home. When you go out to order it nothing coes close to what you get in Thailand but this is the real deal! Took me some time to find everything but I know what I am doing now so I am sure it will only get better! Would it be alright to substitute the pork with other meats–or even tofu–or is the pork the most complementary to the recipe? I’ve learned to make green curry according to a recipe by Chat Mingkwan (Buddha’s Table). Besides all the ingredients that are listed here for green curry, Chat adds cumin & coriander seeds. Now I’m wondering; the traditional green curry doesn’t have cumin & coriander seeds, or is it a regional difference/variation??? I have done lots of green curries, but this one is certainly the best! I spent the summer of 2008 working in Thailand and fell in love with this dish (it was always served with chicken? )…but now here in the US, every time I order it, it’s too sweet or too spicy and never the right color. It’s always so yellow! 🙁 I’ve tried making it myself using a green curry paste from the market, but it never comes out delicate enough. I can’t seem to make it creamy enough either and it always turns out such a dull green/brown color. I’m so frustrated! Everyone seems to think this recipe is the “real deal”, but I’m reluctant to try it. Any thoughts on what key elements make this recipe stand out from others? I love this recipe! The curry paste looks beautiful and the recipe sounds so authentic. It looks amazing and so aromatic! I can’t wait to try it. Thank you for sharing. How much does it affect the flavour if you use regular (western) eggplant and not the thai and pea? I have to drive to the other side of the city to the asian market to get those. Also, when you say it freezes well, do you just freeze the paste or do you make the whole curry and then freeze that? I decided to make the trek all the way across town and got everything I need except the makroot. What sort of flavour does that add? Would regular lime zest be similar enough? I was also told by the lady at the asian market that regular eggplant tastes the same as pea eggplant. Anyone able to vouch for this? I did get the thai green eggplant so I’m excited to try those! do they have lime leaves? that’s the same leaf that comes from the magroot plant, also sometimes called “kaffir lime”. if you add more of them to the curry when you cook it, it may make up for the flavor. i wouldn’t substitute regular lime skin – just leave it out. regular (purple italian) eggplant does not taste like pea eggplant whatsoever. if you can’t find it, just leave it out. maybe add some extra thai eggplants instead! I substituted milk and coconut juice for the coconut milk which worked fine. Only thing is that because it has less fat than the coconut milk it is spicier. You can add sour cream or something to cut reduce the heat. It has to be something with fat so skim milk won’t help but can be something which has less saturated (‘bad’) fat than coconut milk. It is very nice to se genuine recipes and not westernised recipes 🙂 I have taught myself Thai cooking over 10 years, then refined my techniques with cooking classes and by living with my Thai friends in small villages in Mae Hong Son province of north west Thailand. Gang kaew wan mu and gang ped pla are my two favourite curries.. and there are so many more to explore and practice it makes my mind boggle! I have quite a number of tips, mostly self-discovered, and some taught by old Thai ladies in remote mountain villages, to enhance the WOW factor, and to enhance the individual key ingredients (such as bai makroot (kaffir lime leaf), king (ginger), chillies (prik) gratiem (garlic), and da krai (lemongrass)). (of note is that I will use king in curries and galangal in soup style dishes such as Tom Yam Goong (prawn) or Tom Ka Gai (chicken) – galangal is much hardier than king and lends itself better to cooking with higher temperatures, im my experience). 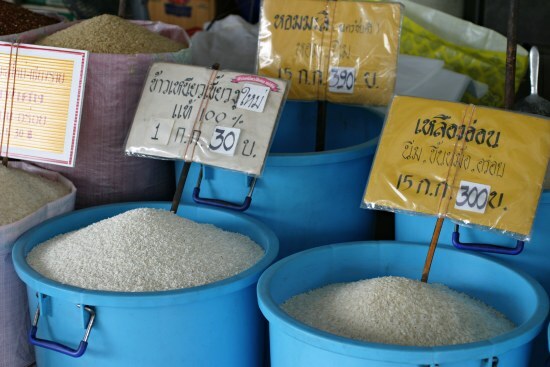 Oh, ok.. one tip – after I serve gang kaew wan to each plate, over artistically formed servings of jasmine rice, I will squeeze the juice of half an ordinary lime over each dish.. of course, the amount should be ‘to you taste’, but it really sets your taste buds into a culinary tizz!!! As for coriander, there is a traditional Thai coriander that I find much milder, more delicate and palatable than ‘western’ coriander (although you will see both in Thailand). Thai coriander is referred to in english as ‘spiky coriander, given its long broad and spiky leaves, with a similar scent (western coriander is much to bitter for my personal liking). (I know you can get spiky corainder at Rustys Markets – mostly Hmong and Thai vendors – in Cairns). From north to south, east to west, as I said there are many different styles of Thai food, based on centuries old traditions. In the south ingredients seem to be well pounded/pureed whilst in the north ingredients are much ‘chunkier’! Flavous much more coarse but without that bitter strong spice of real southern curries (eg. Hat Yai) – not to say that northern curries cant be extremely hot! My favourite Thai dishes include the wide variety of nam prik dishes (chillie sauce). Nam prik Ong(a northern dish) is particularly delicious dish made with tomatoes and minced pork (mu). Firstly, NEVER be afraid to try any Thai dish! You will achieve the greatest advances as a result of your greatest failures.. 🙂 You will learn, by trial and error, what does and doesnt work, sometimes with spectacularly positive results! Someone else mentioned their curries being brownish and not bright green, remember to use plenty of quaily oil at the start to encapsulate and carry your ingredients – and I use lots of purple thai basil (which is still quite green) in my paste to make a rich bright green curry paste that clings to the oil and sits beautifully in the coconut cream/milk. Pound the basil leaves well to release the colour and flavour! 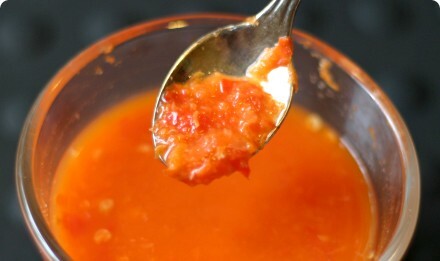 The two flavours that I add ‘to taste’ during the cooking process are the juice of fresh lime and nam pla (fish sauce).. I add them just after I add the vegetables.. then test and adjust as the meal develops. Western egplant, as Cee says, is nothing like Thai eggplant.. so forget it lest you will have a disaster on your hands!!! The best western substitue for Thai eggplant is zucchini.. yep! Another trick is to add common western mushrooms, in very large chunks, they will add a wonderful texture and they really absorb the citrus flavours and will excite the palate of the biggest mushroom haters on the planet!!! For those who want to cook for more than 2 or three at a sitting, be careful becuase the dynamic of heat and timing COMPLETELY CHANGES when cooking with much greater volumes of ingredients.. you will need to practice this and accept that you will overcook and undercook ingredients until you get it right! If you use pork (mu), add the pork when you add the vegetables, if you use fish (and I recommend trevally, king fish etc – ie. firm fleshed pelagic fish – add the fish closer to the end just as the vegetables are starting to soften. Im an Aussie, and by the sounds of it we have the same issues in Thai restaurants here as in the US.. being that most curries arent so hot, and they are largely FAR too sweet! You can always counter this by asking for “Thai Hot” (you will rarely see this mentioned on the menu); and if sweetnes is the issue, well, you will just have to ask for less sugar next time! (I use about a level table spoon of fine raw brown sugar right at the start). Just finished serving up this masterpiece, I missed a few ingredients and the taste was slightly off but still exeptional none the less. It brings me back to the best times I’ve spent in Thailand. Thank you for this. The shrimp paste ruined the entire curry paste which originally smell so great, perhaps the amount of shrimp paste is too much. I will suggest to add a little after the curry is fully cooked. That’s why the others commented their green curry is brownish. I made green curry without shrimp paste, I think that is better than with shrimp paste. Not because I dont like shrimp paste, but it suppressed totally the aroma of other ingredients. Our family LOVE’s Thai green curry with chicken!!! But I haven’t had much success finding all of the ingredients. I can’t seem to find Thai basil, even our local Asian market doesn’t get it in that often. Can I substitute basil for Thai basil? is it ok to use shrimp or chicken in this recipe instead of pork……i tried this in a thai resturant and was really tasty. thanks for the answer in advance. You can use any type of meat you like. If I make this for guests who are not used to Thai-level spicy, what would you recommend as a non-spicy (or less spicy) second dish, to “balance it out”?